It’s been close to 6 months since my last trek to Singalila Pass with Phoktey Dara in Dec 2014, the trek bug in me started to find new route to explore for the summer time. 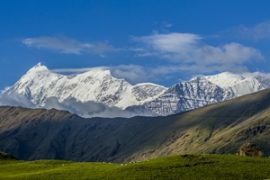 Now being settled in Delhi, I realised zeroing down to one trek is extremely difficult as there are a plenty of trek opportunities I can go to. However I wanted to go somewhere which is lesser known as well as which will be done in a short span of time. Thanks to Google, I found information on Bhrigu lake, which got me intrigued to it. 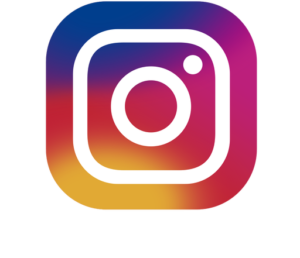 From what I gathered information from Himalaya Trekkers who has been able to retain my loyalties so far for all my trek endeavors, it seemed to be relevantly an easy trek covering vast stretches of green meadows and alpine forested areas. But what nature had in store for us was quite stark in contrast to what I had in mind. 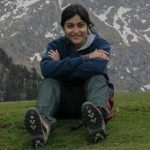 Spare if you may, some time to read my version of The Bhrigu lake trek which turned out to be a baby expedition for us. We hit the road at around 9 am after a delayed breakfast with our accompanying party consisting of 1 guide (Sharma Ji),3 porters/camp helpers and 1 cook. We drove to Gulaba which was the road head from where we were to start the trek from. It was a gradual steep climb through alpine forests and pastoral lands with horses grazing around. The trail was amazingly lush green against the backdrop of snow clad mountains. We trudged along the steep meadows with the mighty Dhauladhar range playing peek a boo from all sides. The Last 2 Km was thrilling as we started to walk on snow patches.It gave us some practice sessions on how to walk on snow. I did not expect to receive snow at this time of the year and was thrilled by the sight of it, the others weren’t as sporty. One of the elderly trekker had high BP problem which accentuated enroute. He recovered after some rest and moved on. After approx 5 hours of rigorous hiking we reached our campsite at Raolikholi at around 0430 in the evening. 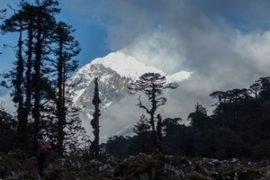 All my earlier treks has been in Sikkim and Darjeeling region where i had enjoyed jungle camping, thick rhododendron forests and night bonfire. But this time the experience of camping was different. Our campsite was surrounding with steep snow bound mountains on all sides with 180 degree views of Hanuman Tibba lurking from behind .We were beyond all tree lines. The camp site looked like an amphitheatre with a continuous sound of the flowing stream water. I wanted to sit out and absorb the beauty all around till sun goes down but nature had other plans. Soon it started to rain and we all run to our tents. The rain added to the cold tremendously as we sat shivering inside our tent. Our guide was hospitable enough to serve us hot soupy noodles inside our tents. We spent the whole evening inside the tent listening to the sound of the incessant rain falling on our tents. We wondered on the possibility of the campsite getting flooded but soon discarded the thought as its a slopy land and the water will trickle down the stream. 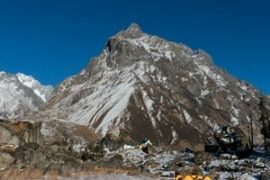 Rohan soon started to show signs of high altitude sickness as he complained of headache and nausea. I advised him to lie down and drink lots of ORS water. Out of tiredness he soon fell asleep and i sat listening to the pitter pater raindrops till i decide to warm myself up in the kitchen tent. The cook was preparing our dinner and the stove emitted enough heat for all of us. We sat there discussing our day and what lay ahead. It is then the trekker with BP problem declared that he wants to back out as he doesn’t feel fit enough to Continue the trek.No amount of convincing budge him from his decision. So the guide suggested him to take rest next day in the camp as we go explore the Kothi peak which is 6 Km away from our camp site. We had dinner and retired for the day early. 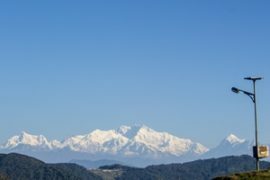 We were woken up by our guide at 5 am for morning tea .To our surprise, last night’s rain made way to clear sky and we were greeted by pleasant view of Hanuman Tibba looming large at us. Our guide pushed us to get ready fast so that we can hike up to Kothi peak as fast as we could before weather starts to act smart. So we embarked on our journey to climb Kothi peak around 8 am. Kothi peak is considered to be the third highest peak in Himachal Pradesh at about 15090 feet. Since the slopes were laden with thick patches of snow, we had to start hiking up by the side of the slopes which was boulder strewn all through.We wanted to climb the peak for the 360 degree views that it offers of the surrounding valleys and the peaks like Hanuman Tibba, Deotibba , friendship peak, Indrasan, Sheti Dhar and others. The trail however got difficult as we started to gain heights, at times the slopes were more than 45 degrees, testing our limits and endurances. In front of us ran a valley sprayed with snow with glaciers melting and water trickling by in small streams. As luck would have it, suddenly it started to pour heavily and we were stuck in the freezing cold as it was risky to tread further as rain made the slopes slippery .we waited for the rains to subside as it was hitting us 25 – 30 degrees angle. In about 2 hours time we reached the base of the peak. It is then our guide told us to turn back as there is no point going up the peak as we will not be able to get the view which we could have enjoyed on a clear day. Our energy was ebbing away due to extreme chill caused by the rain. So we all turned around and decided to add some element of fun to forget the unaccomplished mission of the day. Since most of the route back to the campsite was snow crusted, we decided to skid down the slope. One by one we crouched down with both our hands for stability and one foot for skiing and the other foot used as brake. It was a lot fun skiing down the slopes. We returned to the campsite in 1.5 hours sharp whereas the same route we trudged hiking up took more than 4 hours. The evening was not so dramatic as soon it started to rain and this time it just did not plan to stop. 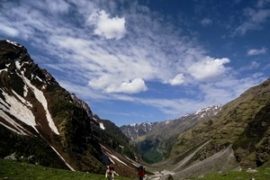 We got to worry as we did not want the nature to act rough with us on the day we climb up to Bhrigu Lake. One of the trekker who was resting all day and did not go with us to Kothi peak was all the more convinced of returning back as he was not confident that his legs would sustain him in such snow conditions. We had to climb some steep snowy slopes next day which thrilled me and I couldn’t wait for the day to end. 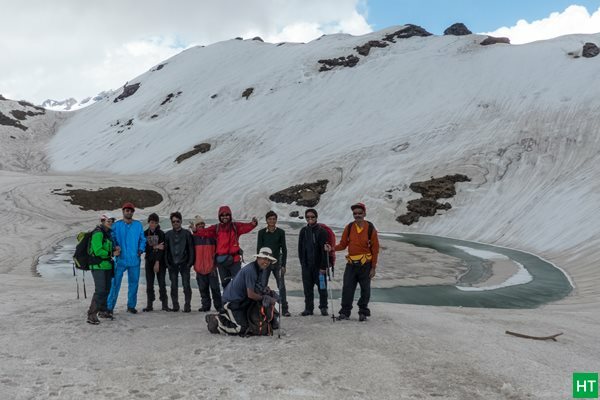 09th June (Day 03) On to Bhrigu Lake and descent to Pandoropa. Today’s climb was the toughest and also rewarding as it involved climbing 3 steep glaciers and a pleasant surprise. As far as our eyes could go, we could only see snow sprayed ridges. We took heavy breathes at each steps as our body was already tired of 2 days of walking on steep snow fields. Focusing every step on snow drains more energy and after an hours walk we were completely exhausted and drained off energy. On a couple of glaciers, we were walking along a very narrow edge with the mountain slopes on one side and the valley on the other. It was almost 12 in the noon; we reached a spot where we could see some boulders .So we instantly decided to rest for a while. It was then as if to supplement us with renewed energy, our guide suddenly pointed toward the distant glaciers showing us a Himalayan brown bear. We did not believe him till we all actually spotted him. It was a lofty brown bear skiing down the snowy slope may be for the purpose of hunting a prey for lunch. Unfortunately none of us had a binocular but our cameras with high zoom lens worked as bino. We spent some half an hour marveling at the bear trying to get a better picture till the bear went out of sight. Indeed fortune favors the traveler and thus with renewed interest and vigour we started to hike faster. Last half a kilometer stretch was a killer as we were not only completely drained out of energy but also getting impatient .The lake is hidden between two valleys and appeared almost magically while we were marching higher on the snowy mountains. The lake was completely frozen barring only a small portion of the oval shaped lake. It was quite a site! The lake was like an amphitheatre, surrounded by 360 degree views of the Pir Panjal range, Dhauladhar range. We all spent some time there absorbing the radiating beauty of the place, filling up our bottles with the holy water from the lake. By then the weather started to act spoilt sport. Although we wanted to spend some more time there, but it was freezing cold and was getting very foggy. So our Guide suggested us to start marching ahead as we are still not done with our tryst with the snow. We had to descent down the snow slopes to the greener pastureland of Panduropa. We again started to skid down the snow slopes till we reached green meadows. The sight of greenery with horses grazing, yellow and purple flowers blooming all around were a pleasant respite from the blinding white landscape. We reached our campsite around 0530 pm where hot black tea was already waiting us. Evening was as usual uneventful. As soon as the sun went down, it started to pour heavily. We were left with no choice but to stay put inside our tents listening to the incessant rain drops funneling through the mountain slopes down the valley. We were served dinner around 7 pm and soon we retired for the day. Much rest was needed as the next day we climb down the slopes and climbing down the slopes is more painstaking than trudging up the slopes. 10th June (Day 04) Descent to Vashisht Village – Journey back home. We spend the morning leisurely having breakfast and clicking photos of the Kullu valley while the porters got on busy packing up our tents and all other equipments. At around 10 am we started to march down the slopes. Today’s journey started off quite pleasantly treading through green meadows and forested trails. The trail was covered with yellow pollins and marsh marigold and small rivulets. I was thoroughly enjoying the descent till my legs started to give away. The fag end of the route was beautiful traversing amidst apple orchards, apricot trees, passing by local villages. We reached Vashisht village around 3pm. We had a bus to catch at 6pm. We decided to utilize the intervening time taking a hot bath at the famous sulphur spring located in the premise of the Vashisht temple to ease out all the exhaustion and fatigue. Later we hired a taxi who dropped us to the Manali bus stop where our HPDTC bus was already waiting for us. 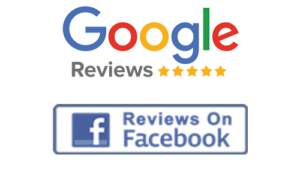 Tuhina Sen is an adventure consultant and works with leading service provider in Delhi. Apart from any adrenaline rush activity, she also likes to visit historical places.